The foreground well is only one of eight wells, public and private, that have thus far been discovered at Harappa. Most of the water used by the population probably came from the adjacent Ravi River. 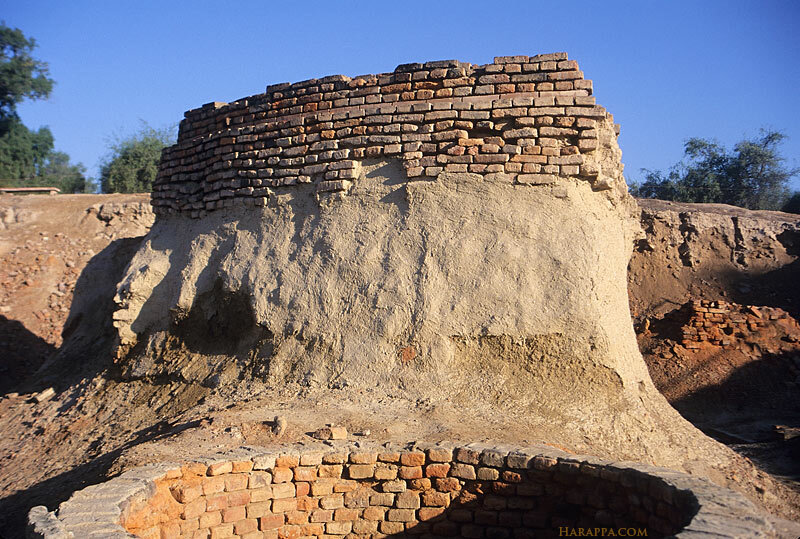 The curved wall was probably a large drain used during the latter stages of ancient Harappa, around 2,000 B.C.